Whoops - here's another MAC collection that completely snuck by me! The bowling-themed It's A Strike collection launched in late September 2016 and while it was limited edition, the full range is all still available on the US MAC website. I was fortunate to receive a selection of berry hues from the range, among the muted neutrals and pops of colour that are available. Also repromoted in this collection was the Vintage Brown Fluidline Pen, which I reviewed here. 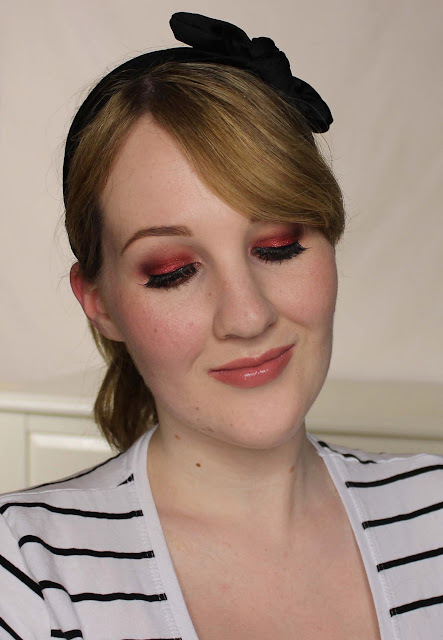 There are 6 eyeshadows in this collection and they have an RRP of $38NZD each. They're presented in MAC's standard small eyeshadow compacts, which can be depotted should you wish to place the pans in eyeshadow palettes instead. 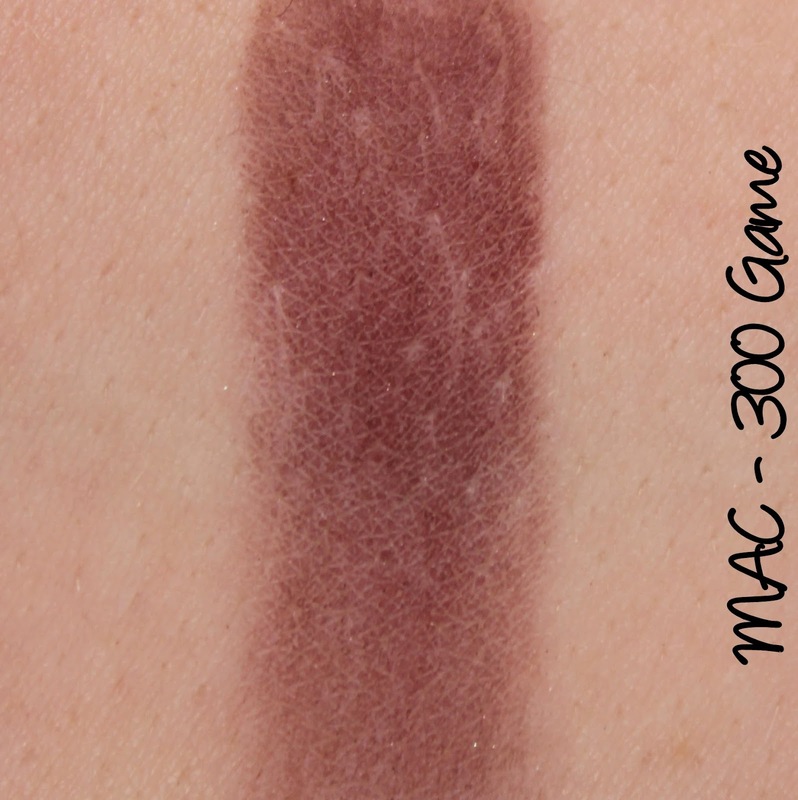 300 Game is described as a 'blackened cherry' and has a Matte finish. I found it really hard to obtain any sort of decent colour payoff with this shade and blending it out was just as difficult, so I'd definitely give this one a miss if I were you. For this look I used Darling Girl Inferno Room on the lid, Darling Girl Ms Chanandler Bong on the lower lashline, Darling Girl I Wasn't Supposed To Tell Her? 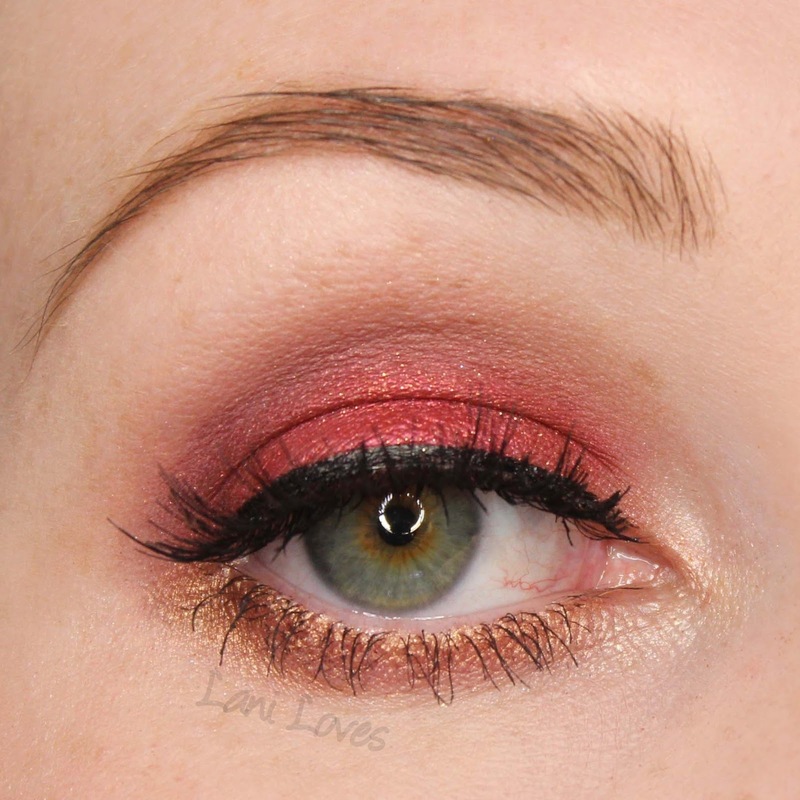 on the inner corner and MAC 300 Game on the outer V. The lashes are these ones from Born Pretty Store. Five Cremesheen Glasses make up the glossy component of this collection and they have an RRP of $48NZD each. 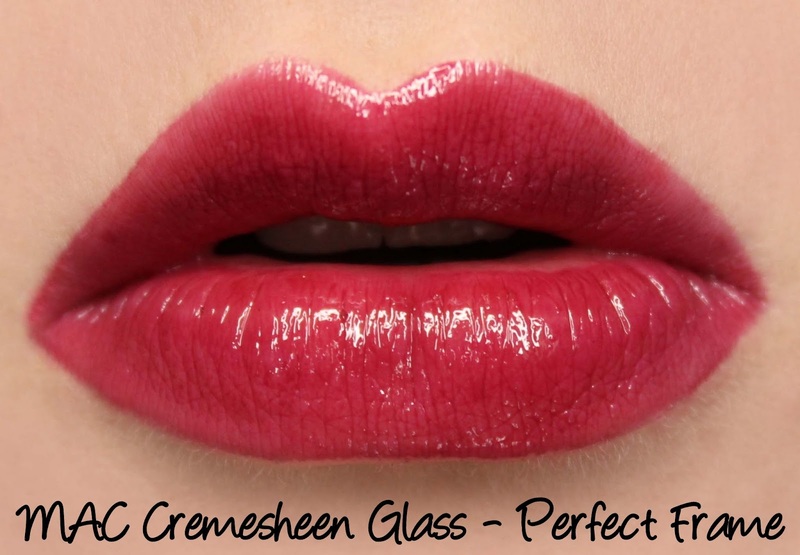 The Cremesheen Glass packaging is a long tube with an angled doefoot applicator. Perfect Frame is described as a 'dark purple'. 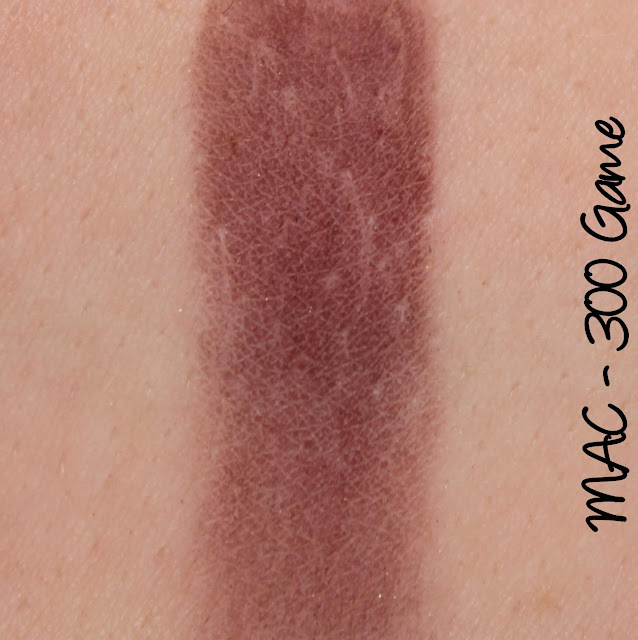 It's a mostly opaque rich berry with a hydrating three and a half hour wear time. I was impressed that it didn't feather or gather during wear as is common for me with darker hues, especially anything glossy; it faded very evenly. 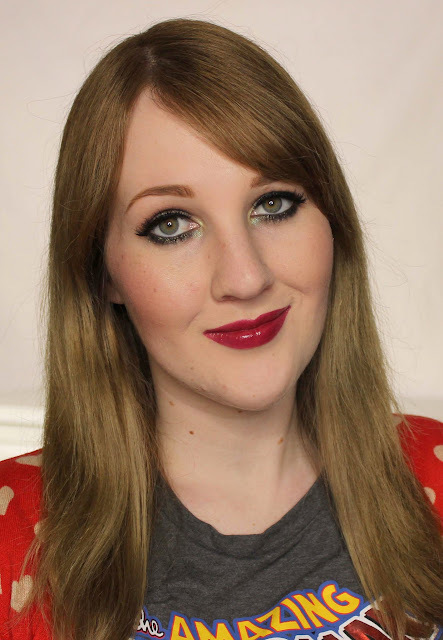 Lipsticks are almost always my favourite part of any collection and there are five to choose from in this collection. They're all in standard packaging with a teardrop shaped lipstick bullet and have an RRP of $40NZD each. Perfect Score is described as a 'deep red' with a Matte finish. 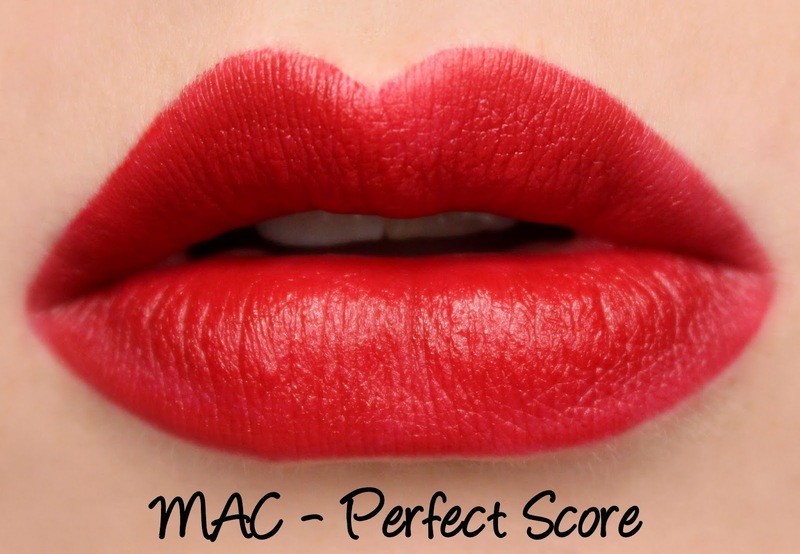 As always, MAC are on point with their red lipstick and Perfect Score applies with divinely smooth colour payoff and texture. 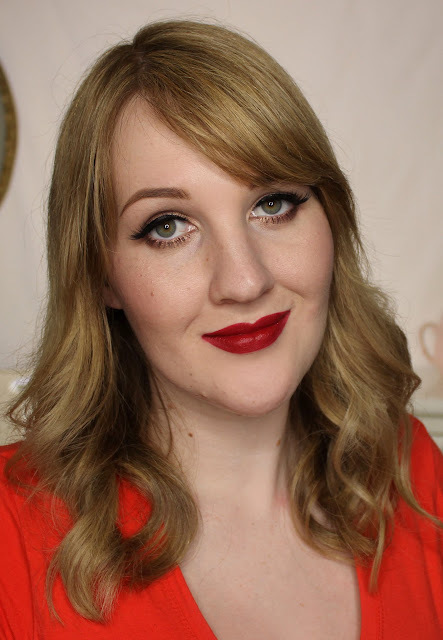 It lasted seven hours on me with the tiniest amount of feathering on the lower lashline, which could only be seen if I squinted and curled my lower lip up to check. If anyone else notices that on me, they're clearly standing waaaaay too close! Here are some older swatches I've done of the repromoted permanent shades, too - it's handy to see them all together sometimes!